Events 12/7 – 12/13: Holiday-Yay! 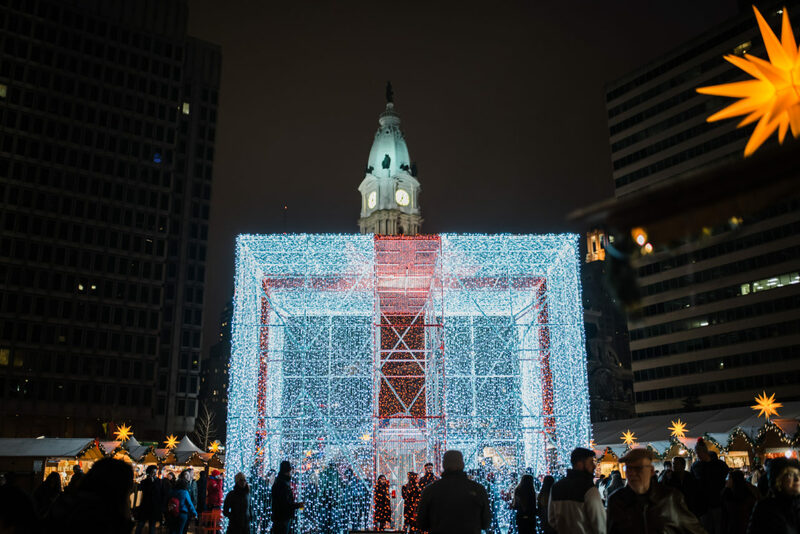 Cultural Soiree, Fishtown Freeze, Breakfast with Santa, Holiday Lights Ride & More! ‘Tis the Season for holiday cheer…and live band karaoke. 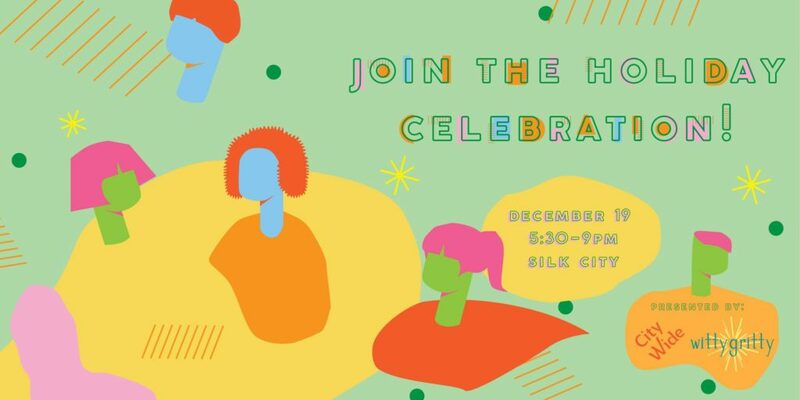 CityWide Stories and Witty Gritty invite you to our holiday bash on Wednesday, December 19 at Silk City Diner Bar & Lounge. Whether you’ve been reading since our launch last year, or just discovered our publication, we’d love to meet you! There will be mingling between 5:30 – 7 pm, and Live Band Karaoke with Pat Finnerty & The Full Band between 7 – 9 pm. We hope to see you there! Enjoy a traditional Indonesian meal, lovingly prepared by a local Indonesian family in South Philly with Bali to Bala. The majority of all ticket sales will be going to support Sulawesi’s recovery from its recent earthquake and tsunami. This meal will be served in the truly special Indonesian tradition of a communal Liwetan dinner, and seating is limited, so all tickets must be reserved by emailing Laura@FromBalitoBala.com. Ring in the holiday season with Bread & Roses Community Fund, CultureWorks Greater Philadelphia, and Leeway Foundation at the Holiday-Yay Soiree! This year’s soiree will be celebrating the Leeway Foundation’s 25th anniversary, AND the close out of the commemorative exhibition at Moore College of Art & Design. This celebration is sure to be lots of fun, so make sure to reserve your spot ASAP! Do you think Santa prefers his eggs scrambled or over easy? Come and find out at this special breakfast taking place on the Battleship New Jersey, where participants can take a tour of the World’s Greatest Battleship, win prizes and meet Santa Claus! All of the classic breakfast foods will be served from the Chowline, the same way it was served to sailors of the USS New Jersey, so all aboard! The African American Museum in Philadelphia is hosting The East Coast Black Age of Comics Convention (ECBACC) for an exciting day of activities! Help to bring Captain Kwanzaa to life and learn about the principles of this special holiday. Practice the basics of comic book writing or come show your skills to help teach those around you! Join the Promise Neighborhood Family Success Center for a delicious afternoon of gingerbread house building! Not only will you be able to create and take home your own gingerbread creation, but there will be a snacktime and storytime. Fishtown will truly be frozen this weekend as there will be 25+ Custom Ice Sculptures hand carved by Ice Sculpture Philly, and 3 Live Ice Carving at SugarHouse Casino, Lutheran Settlement House and Suraya. You can also expect to find holiday shopping specials, photos with santa, and more! SWAY, a monthly queer dance party, will feature 3 dance floors, all QTPOC DJs, go-go dancers, drink specials, and more. Get there early for a pre-party drag show featuring drag performers both naughty and nice! Come early for the show, stay late for the Sway. Adorn your bike in bells, lights, or even antlers and pedal over to Performance Bicycle for The Bicycle Coalition of Greater Philadelphia’s annual Holiday Lights Ride! You’ll be riding through South Philly to admire and participate in the twinkling decor. Costumes are encouraged! How can Camden residents have a greater say in how their community is covered? News Voices: New Jersey invites Camden residents to share insights, meet neighbors, ask questions, and meet journalists who cover the city. Come out to this community forum to learn how residents can have a voice in strengthening media that represents their lives. Keep it cozy at the Cannery with some jazz from local duo, Jordan Berger and Dariel Peniazek. They’ll be infusing their sound with some Latin hints as well as other West Philly twists on some classics. Grab a cocktail or beer and settle in for a lovely winter evening!